Dee Belcher aka "Big Dee" is one of the happiest people you will ever meet. He has the ability to instantly be friends with those he comes in contact with. If you have ever had a conversation with him, you have felt his warmth and love. He loves his wife, four children and their spouses and most of all his 11 grandchildren. Big Dee is kind and generous, always thinking of how he can help other people. Now it is time to return the favor to him. Unfortunately, Big Dee has been diagnosed with stage 4 bile duct cancer, which has spread to his liver. He is about to undergo a long road of chemotherapy treatments. 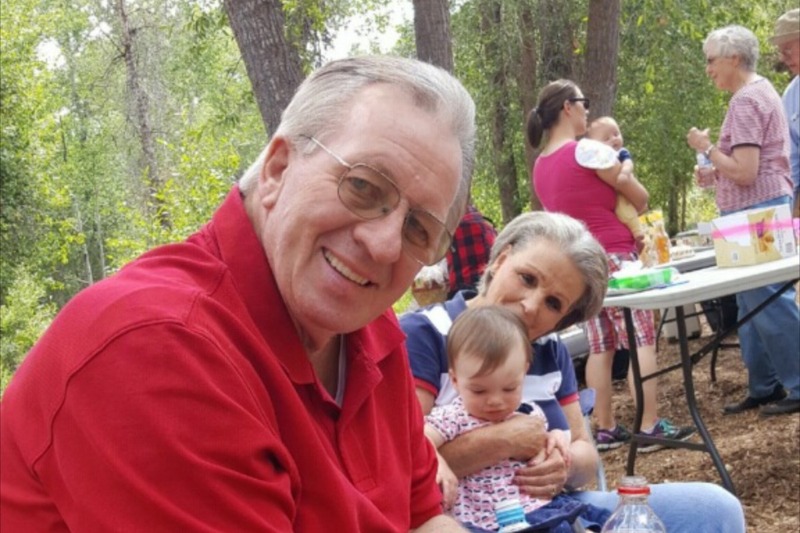 Please donate what you can to help him at this difficult time to get him back to fishing, cheering for BYU football, sprinkling, telling stories to his grandchildren and spending time with his family. WE LOVE YOU BIG DEE!! We are sad to announce that Big Dee passed away last night (August 29). The cancer spread so quickly and his body shut down. Even in his last days, he was telling stories, cracking jokes and got excited when people called or visited. We were able to see how many people he touched in his life, as so many reached out to him. Everyone loved Big Dee. We heard so many memories and fun stories about him. He led a great life. We are so blessed to have known him and witness his selfless love to others. He was a great example of service. Quick update on our dad Dee Belcher. He has been a fighter through all that has happened and thanks you all for your love, prayers and support. Like anyone facing a tough challenge he has his good days and his bad. He has been in and out of the hospital with an unforseen viruse causing blood clots and fluid in his lungs. This has haulted the chemo treatments which we now hope to start Aug. 27th. His amazing wife Michelle is taking great care of him as his energy level is very low. She has been strong and a great motivator for us all during these hard times.